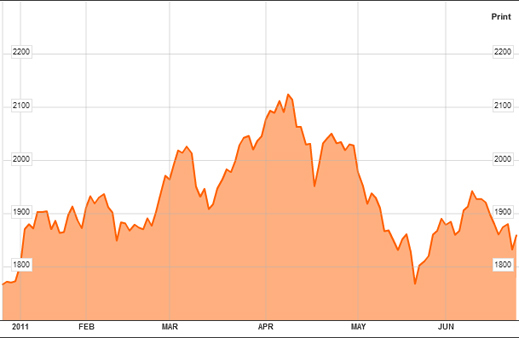 IS THAT RUSSIAN RISK MONEY WAVING GOODBYE, OR GOING SHORT ON COMMODITIES? 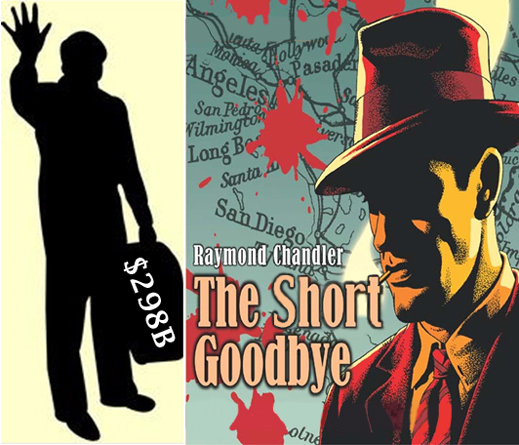 In The Long Good-Bye, private detective Philip Marlowe says of the snob column in the newspapers, “I don’t read them often, only when I run out of things I dislike.” Some people feel that way about the weekly report from Emerging Portfolio Fund Research(EPFR). That is the Boston outfit which tracks the flow of investor funds into and out of emerging market destinations in the aggregate (GEM, EMEA), and in particular countries. 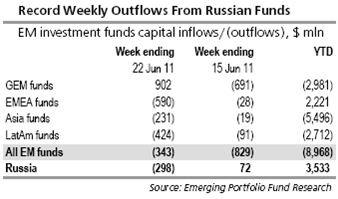 The bad news, out today in EPFR’s bulletin and Uralsib Bank’s weekly analysis, is that outflow of investor cash in Russian stocks and funds hit a record this week of $298 million. This was a big turnaround from the previous week’s positive inflow; though it makes just a small dent in the total flow inward to Russia since January 1 of $3.5 billion. On that last criterion, as you can see from the table, the positive movement of investment into Russia this year contrasts dramatically with the negative outflows in the Asian and Latin American markets. 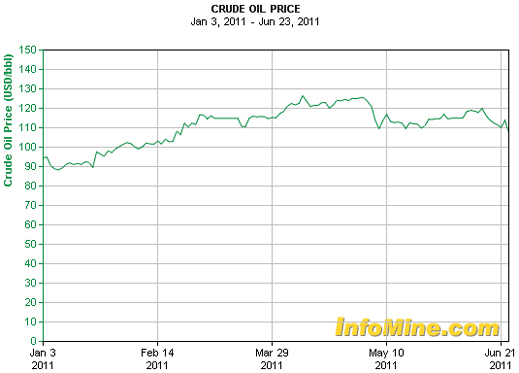 That has been the world’s way of saying hello high-priced oil! hello Russian Trading System (RTS)! But as Marlowe also reminds, betting on the relationship between Russian stock value and global commodity price movement can be “as elaborate a waste of human intelligence as you could find anywhere outside an advertising agency.” Here’s Commerzbank’s rejoinder – if you want to place your money between Russia and other markets, see which way the EPFR flows of cash have been moving for the past month or two. So if record inflows encourage higher prices for Russian stocks, and attract bigger cash inflows, what does the reverse trend signify? This past week’s outflow from Russia is one of the largest haemorrhages over the past five years. Russia bled considerably more money than the other BRIC markets, though there was blood on the floor there too – outflow from China for the week was $84 million; from Brazil $113 million; and from India $112 million. Almost two-thirds of the investment which left Russia this week – 62% — was taken out of commodity-based Exchange Traded Funds (ETFs). What this means is that Russian producers of gas, oil, aluminium, steel, coal, gold, and potash are losing their market appeal because investors in the underlying commodities they trade are pessimistic on their future price and earnings. Over the past week, for example, Gazprom’s (gas) share price is down 4.1%; Rosneft (oil), down 7.5%, Evraz (steel), down 7.3%, Polyus Gold, down 7.1%, Uralkali (potash), down 4%; and Rusal (aluminium), down 1.9%. The b ig exception – Norilsk Nickel (nickel, copper) is holding firm. In the first quarter, commodity ETFs were supplying most of the hot cash which went into the Russian market – 70% of the weekly flow of funds recored by EPFR. But by April, the proportion was shifting, and ETFs accounted for just 32% of the incoming money to Russia. That meant the market was looking more carefully outside the obvious commodity producers and oil-tied equities.